6000 labels means we’ve cooked and churned over 3000 litres of ice cream that has gone into those tubs. I can’t begin to think about the thousands more litres we’ve made to scoop, it boggles my mind! But behind our grins there are unspoken words of the deep understanding of how far we’ve both come during the 2 years it’s taken me to write those 6000 labels! Our first 1000 saw me setting up the brand and taking the ice cream out to market. Every Saturday morning was spent away from my family, scooping ice cream at local food markets. I loved my product but there is nothing like being 100% responsible for developing something that you love but hope others will love too, to get the demons in your head working overtime! My confidence was at an all time low! More importantly, our first 1000 ice cream labels saw Fortunate go from being an unemployed domestic worker with no prospects to an ice cream guru. Her confidence at an all time high!!! Labels 1001 to 2000 saw us feature in Food & Home Magazine; Getaway Magazine, Eat Out & the Sunday Times quickly followed suit. Eventually the local press started to feature us too. Around the time of writing my 3000th label I took the (brave) decision to stop spending Saturday mornings at food markets & open our first shop. It was a far cry from the high budget restaurants and bars I’d helped launch in London and I have to say, spending your own hard earned cash instead of someone else’s certainly focuses the mind! I felt more alert and driven in those early days at The Litchi Orchard than I had ever done before. In the time it has taken me to write the last 1000 labels, the business has changed dramatically! Our little shop at the Litchi Orchard has taken off and is a real hit with the local community. 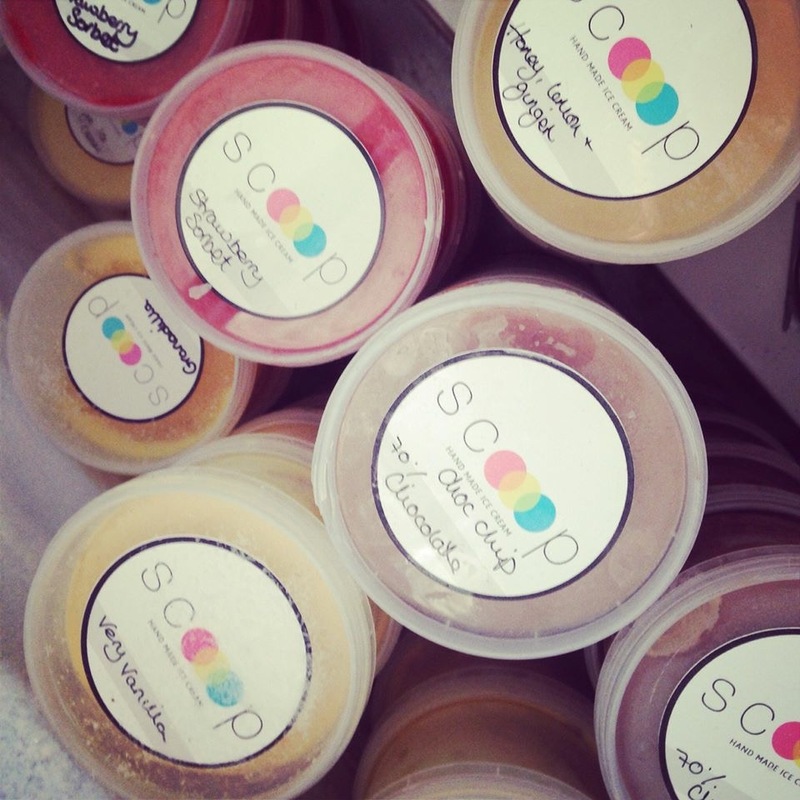 We have opened another scooping shop inside Simbithi Eco Estate and we wholesale to some of our favourite KZN restaurants. We now employ 4 local staff and Fortunate is in charge of all of the ice cream making! My confidence levels are no longer at an all time low! Fortunate and I look down at the empty roll of labels again & our grins are momentarily replaced with a quick flicker of panic in our eyes as we both wonder how many more I’ll be writing in the coming months!